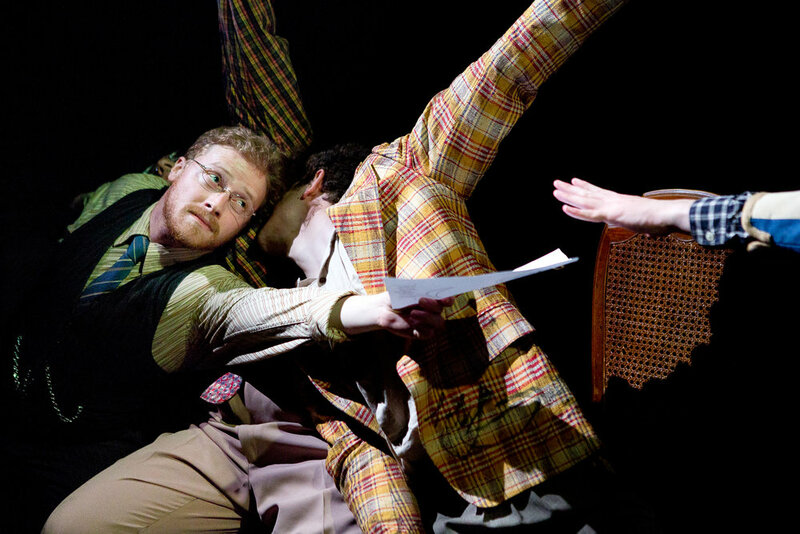 Based on the works of Russian iconoclast Daniil Kharms, The What Dance is a play about one man’s doomed attempt to deliver a letter to his local post office. Along the way, he encounters extreme but unremarkable challenges to his path. Friendships bloom and crumble, stomach aches rise and fall, watches are treasured and broken, and an old woman falls out of a window, over and over. The What Dance is lushly scored and tightly choreographed with everyday motions shined to an unnatural gleam. It is a set of problems. It attempts to leap about; its trousers are not well suited. The What Dance is a play about the relative dominance of accidents in determining the course of your life.